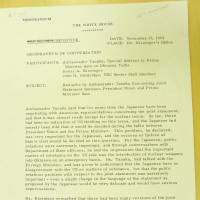 WASHINGTON - A recently declassified U.S. document confirms that Japan gave the United States its official consent to bring nuclear weapons to Okinawa shortly before the 1969 bilateral accord that led to the occupied island’s 1972 reversion to Japanese rule. 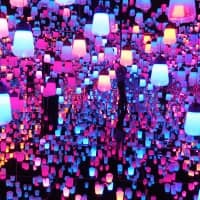 The finding is significant because it shows Japan’s leaders officially agreed during the Cold War to violate the Three Non-Nuclear Principles set out by Prime Minister Eisuke Sato in 1967 while publicly telling the rest of Japan that nuclear weapons would not be brought to the prefecture. 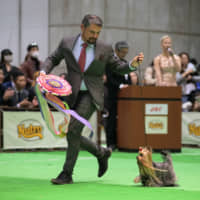 The principles, which helped Sato win the Nobel Peace Prize in 1974, state that Japan will not possess, produce or allow nuclear weapons on its territory. They have been the foundation of Japan’s nuclear arms policy ever since. 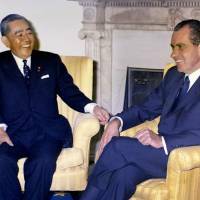 That Tokyo and Washington had reached a secret deal on nuclear weapons in exchange for Okinawa’s reversion is well known, but the new document, a U.S. memorandum of understanding dated Nov. 17, 1969, shows that Japan actually expressed its stance using an official diplomatic channel. According to the 1969 memorandum, senior Foreign Ministry official Hiroto Tanaka told White House national security adviser Henry Kissinger that “The Japanese have no disagreement with the U.S.” on introducing nuclear weapons to Okinawa on an emergency basis. 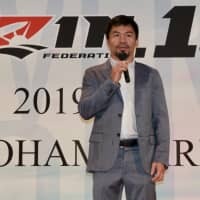 The Foreign Ministry is known to have secretly prepared a draft indicating Japan would not be bound by its non-nuclear principles, but no source confirming that Japan conveyed its message to the U.S. had been publicly available until now. 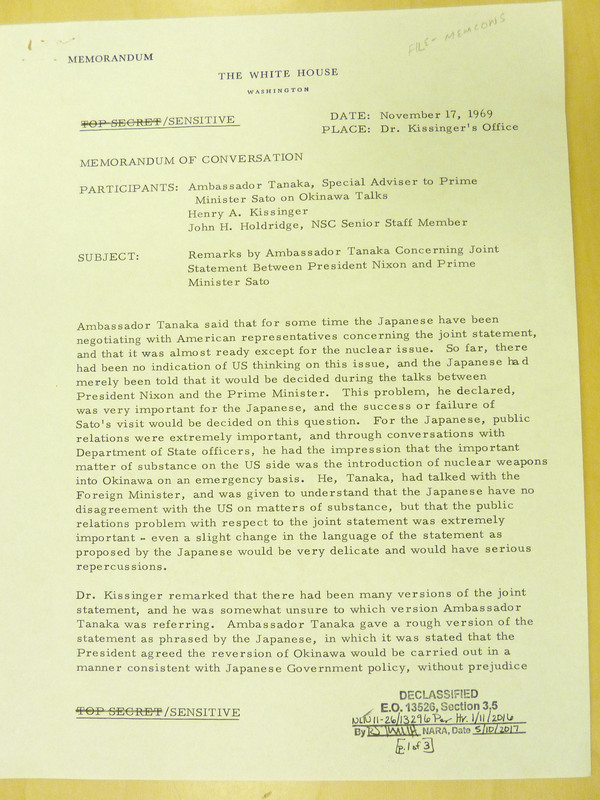 The memorandum shows the Tanaka-Kissinger talks took place several days after Prime Minister Eisaku Sato and U.S. President Richard Nixon reached a secret agreement to allow the introduction of nuclear arms to Okinawa, and just two days before the Japan-U.S. summit that led to Okinawa’s reversion. 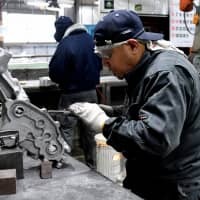 Although Foreign Minister Kiichi Aichi and the ministry were unaware of the secret deal, they apparently feared a breakdown in the reversion talks and found it necessary to show that Japan was ready to comply with the U.S. demand. 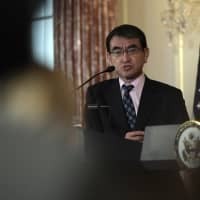 “He, Tanaka, had talked with the Foreign Minister, and was given to understand that the Japanese have no disagreement with the U.S. on matters of substance,” or the nuclear issue, according the document obtained by Kyodo News at the Richard Nixon Presidential Library and Museum. 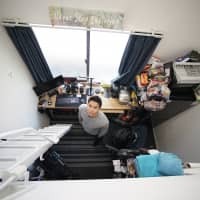 But Tanaka added the nuclear issue could not be made public due to strong anti-nuclear sentiment in Japan and asked the U.S. side to accept a joint statement that would make it a matter of prior consultation. 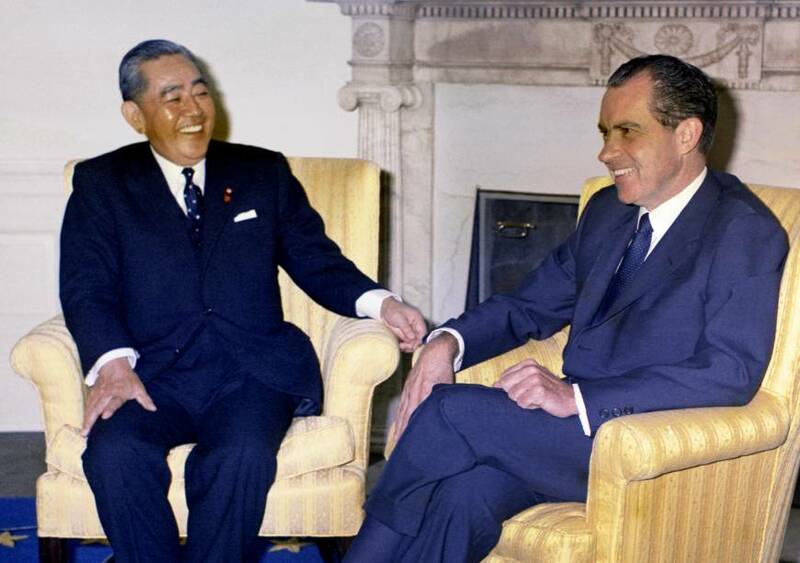 At the Japan-U.S. summit on Nov. 19, 1969, Sato and Nixon agreed on the reversion of Okinawa. 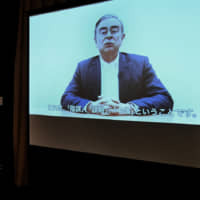 The Japanese government had told the public that nuclear weapons would not be brought to the war-torn island prefecture.